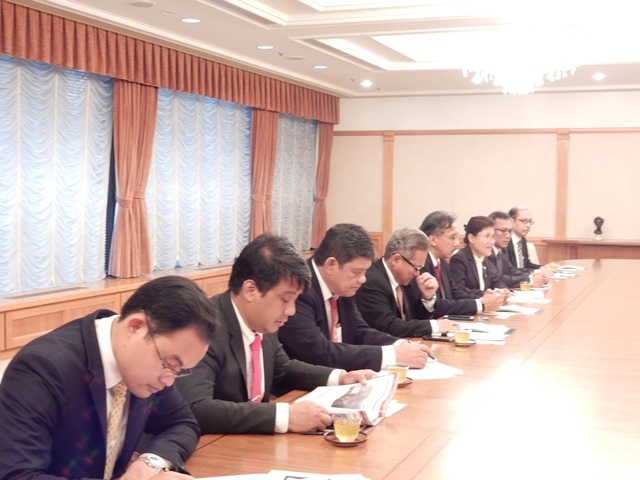 On 9 November 2018, a delegation led by Mr. Ridwan Djamaluddin, Deputy for Infrastructure, Coordinating Ministry for Maritime Affairs paid a courtesy call to 2 Japanese companies and 1 municipal governmental office. 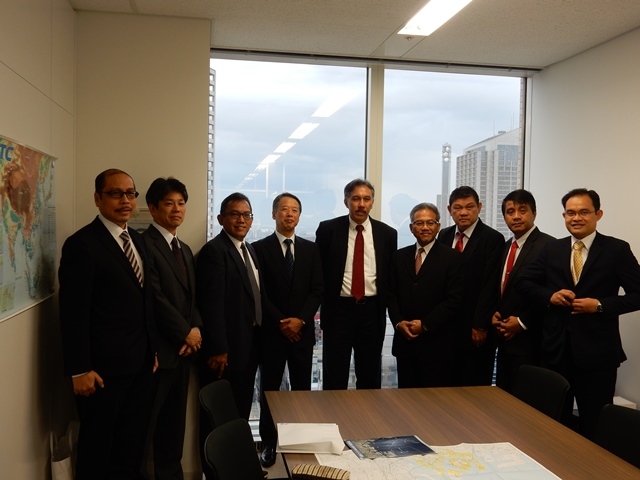 Mr. Takayuki Tokuhira, Executive Vice President of Kobe-Osaka International Port Corporation accepted the delegation in their Head Office in Kobe, Hyogo Pref. The Deputy would like to learn about how Japanese port operator manages operation of the port. He asked Mr. Tokuhira about management model of ports in different scales, relationship between ports and local industries, and relationship between companies and local government. 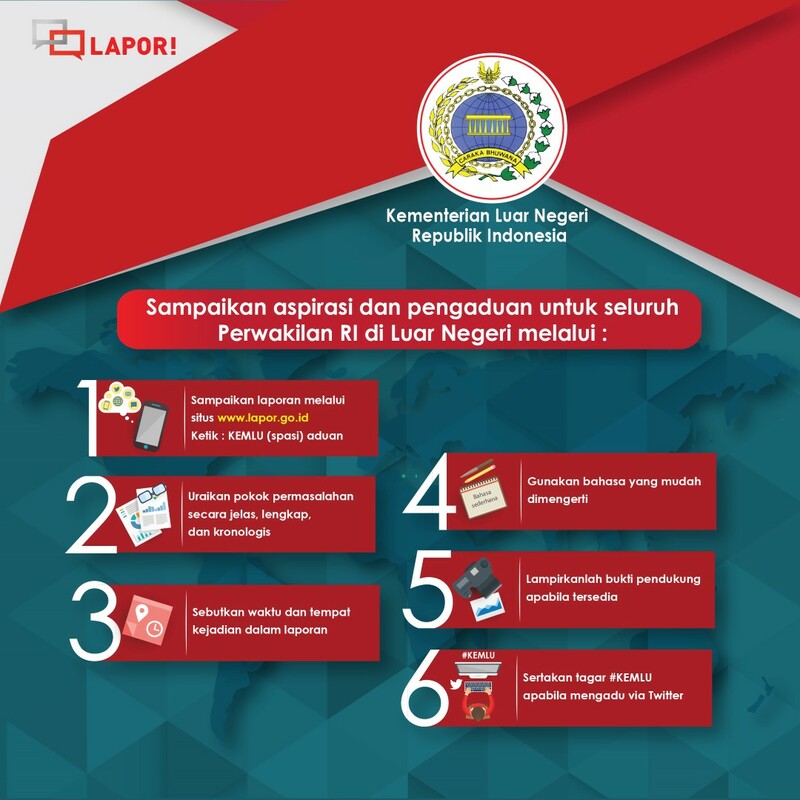 He answered each port is ranked according to its scale such as international cargo handling or fishing port, and ports and local industries are closely related, and ports are operated by semigovernmental companies, but national and local government still have ownership. 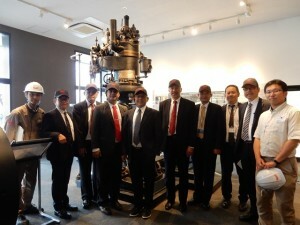 Yanmar Co., Ltd., manufacturer of motor and engine, is the 2nd place the delegation visited. 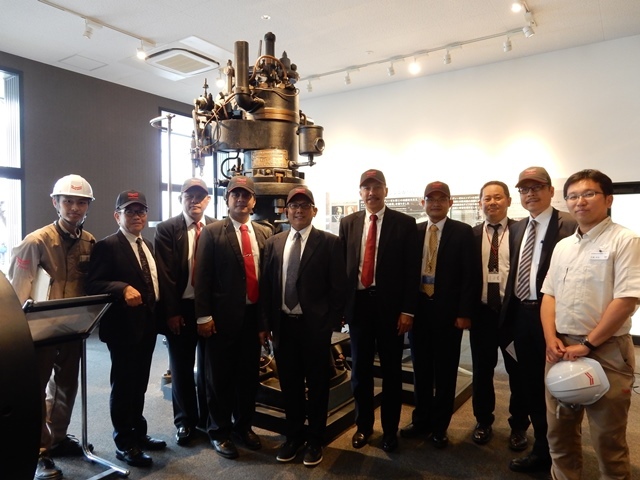 Through the factory tour, they showed the process how engines are manufactured and more-than-100-year history of Yanmar. Deputy proposed Mr. Naoya Umegaki, Executive Officer of Yanmar at the meeting that they can be in cooperative relationship by contributing to demand by Indonesia such as giving vocational training and raise young workers not limited to skilled workers. After infrastructure is completed, Indonesia will be in the process of industrialization. More work force will be necessary when the time comes. 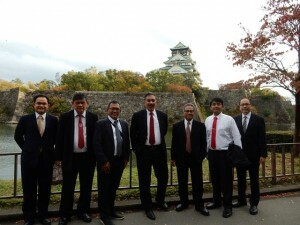 Courtesy visit to Mr. Seigo Tanaka, Vice Mayor of Osaka City was concluded in a friendly atmosphere. The Deputy reaffirmed that Osaka City and Indonesia will continue cooperation in helping Indonesia in various projects, and setting a meeting between operators of Osaka Port and Tanjung Priok Port. The vice Mayor agreed with the Deputy’s suggestion to seek possibilities to enhance cooperation between Osaka Port and Indonesia.